On March 17, amendments to the Federal Law on Fundamentals of Health Care for Citizens of the Russian Federation, which cover issues of palliative care, came into effect. Earlier the federal law explained palliative care as a combination of medical interventions. However, at the end of life a person requires much more than just medical care. Palliative care is seen worldwide as medical and social care provided not just to the ill person but to his or her entire family. The new definition introduced into the law brought us as close as possible to such a systematic approach. 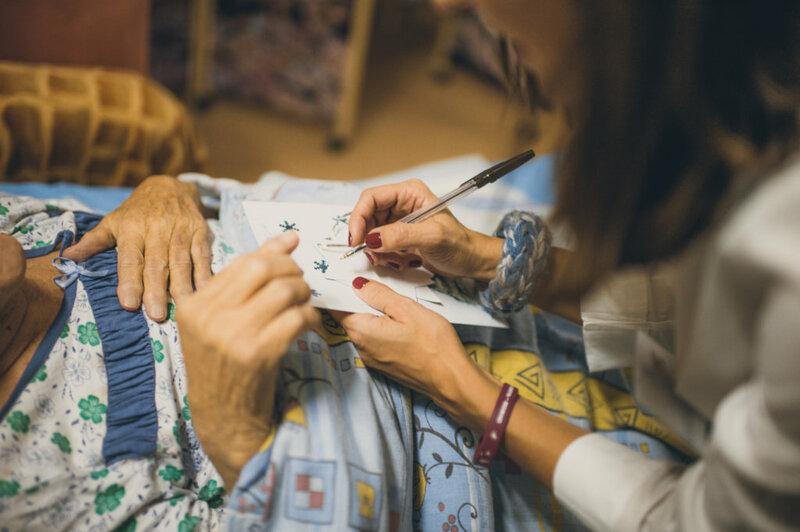 Now the law guarantees each patient the right not just to medical care, but to psychological assistance and involvement of social services in providing palliative care. This means that our patients have got the right, at the end of life, to preserve their identity and their usual way of life even if the terminal illness took away their independence. For us the adoption of this amendment means that patients under home care now have the right to receive complete palliative care, including medication and a social worker. In other words, a patient gets the right to stay with his or her family and receive all the necessary care at home. This also means that patients in medical facilities now have the right to receive palliative care even if they can't express this wish themselves and sign a consent form. At the moment, it is enough that patients confirm their consent for care with a gesture. If they are unable to do even that, their doctor can gather a medical council and make a decision on this case. We have more fantastic news about the new opportunities for our patients! The Department of Respiratory Support, which opened at the Palliative Care Center a year ago, discharged the first patient with a lung ventilator, Pavel. Why is this so important for us and sounds as if he were the first person who landed on the Moon? The reason is that now people who can no longer breathe on their own and have to stay in intensive care for a long time due to a severe, progressive disease, these people can return home! 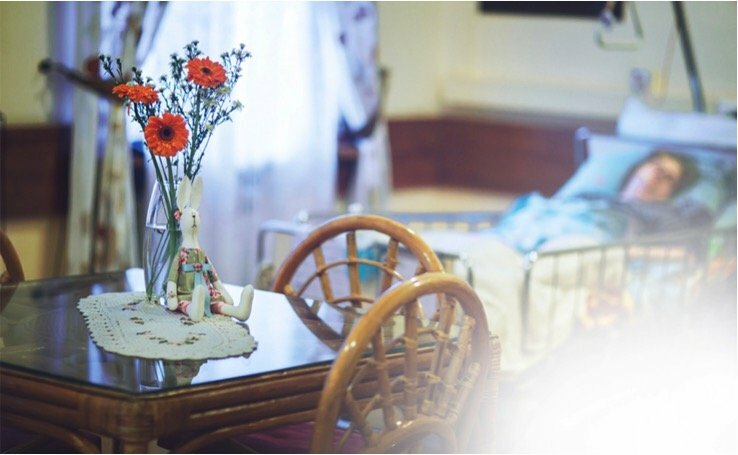 From the intensive care unit, patients are transferred to the Moscow Multidisciplinary Center for Palliative Care where their families are trained in providing proper care and controlling the device. Patients are not scared to go back home, because now their families are confident in using the device and have the support of the mobile service team which visits them regularly. How cool is it that everyone who needs constant respiratory support will get a chance to live at home! But even if a patient stays at the hospice clinic or at the clinic of the Palliative Care Center or its Department of Respiratory Support, family can visit round-the-clock. So, the time spent there will be interesting and eventful for patients and their relatives. For example, at the Moscow hospices, during the last three months, our volunteers not only organized numerous master classes, concerts, and “joy carts”, but also celebrated the traditional holidays: the Defender of the Fatherland Day when hospice patients and their families were congratulated on their courage and perseverance in the face of their illness; Maslenitsa, or Pancake Week, when hospice residents made pancakes, laughed at the jokes of Skomorokh the clown, and recited witty and mischievous verses to the volunteers; the International Women's Day when hospices smelled of fresh tulips and were full of smiles of their female residents and employees. The memory that stands out the most is the one of Alexander Bembeyevich, a patient of the Degunino hospice. He asked his daughter to buy some tulips and gave a flower to each nurse, aide, and coordinator who entered his room. All of this is possible thanks to your regular support. Thank you so much for contributing to the work and development of our fund and, together with us, giving the gift of life to hospice patients—life for the rest of their life. *We thank Veronica Demichelis for her generous help with rendering this text from Russian into English. Today we want to share our main achievements over the past three months. We received a Grant from the Mayor of Moscow for one of the largest and most complicated projects of the Fund — a project to support hospices and their patients. This project is the heart of VERA Fund. Our Fund started with this project 12 years ago. 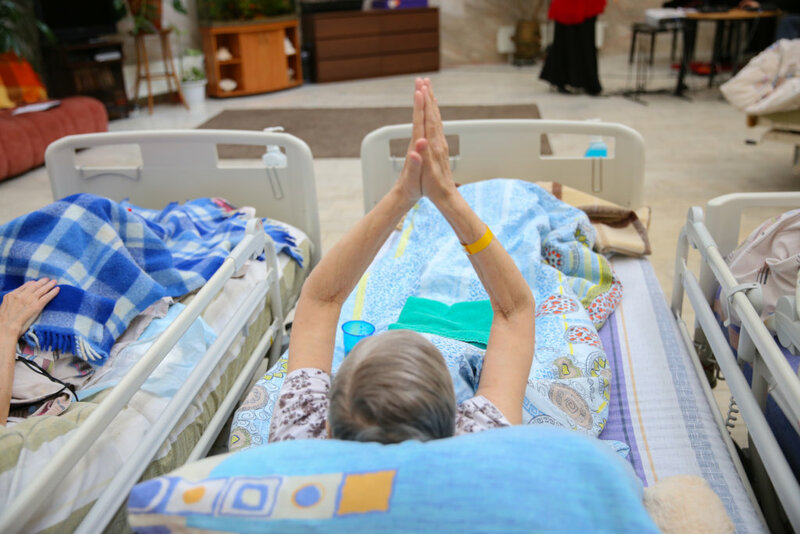 Most often we tell you about hospice events organized within the framework of this project. The Grant covers more than 10% of the project costs (total project budget for 12 months — 23 583 240 rubles), which will help us feel a little calmer. We has restarted the web portal "Pro Palliative". It’s like Wikipedia about help at the end of life. When a person learns about an incurable disease, he becomes afraid. And it’s important to give him the opportunity to easily find reliable information collected in one place and presented in an accessible language. This place will be an educational portal "ProPalliative", which collected everything we know about palliative care: from simple materials for seriously ill people, their loved ones, and just interested — to highly specialized, which will be useful to hospice managers, doctors and nurses. VERA Fund received a Presidential Grant in the amount of 13 295 525 rubles for the project "The Right to assistance at the end of life". We often write that terminally ill people and their relatives don’t know where and how to get help. They rarely explain what will happen to them next, how to relieve their condition, how to get painkillers and protect their rights. They are confused, scared and don’t understand how to live. We try to make information about the right to assistance as accessible as possible. As part of this project, we will continue to develop our Hotline to help terminally ill people, which works around the clock and seven days a week, free of charge, and ask questions about the care of the seriously ill, about painkillers, about hospices and so on. We will fill the educational resource about palliative care "Pro Palliative" with new information. The Grant will help us to ensure the round — the-clock operation of the Hotline and decent work of the Pro Palliative - so that as many people as possible of our country know where to find answers to questions in the most difficult period of their lives. Besides we had a race of Santa Clauses (when a half thousand people ran 5 km or 10 km), collection of Christmas gifts, concert of Nikolai Baskov and many other wonderful events. 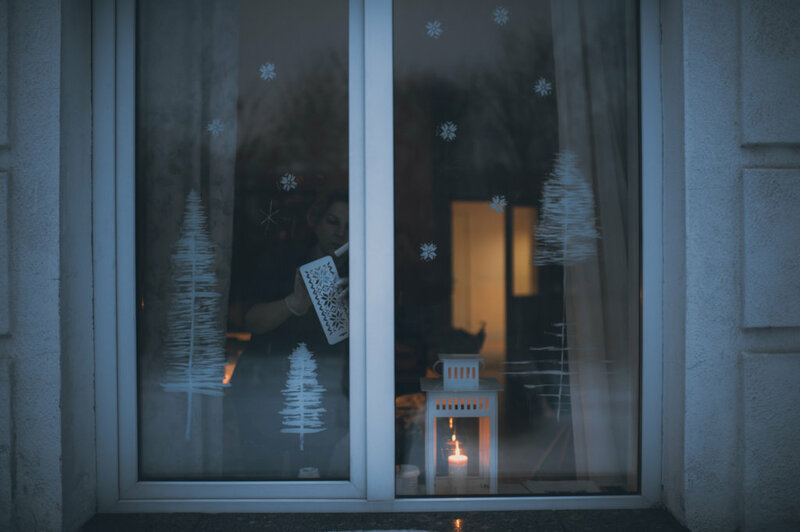 VERA Fund's volunteers came up with a new Christmas tradition - decorate windows with beautiful winter paintings, so that there was a holiday everywhere. Zhenya is 38. At the moment he is staying at the Nekrasovka hospice in Moscow. 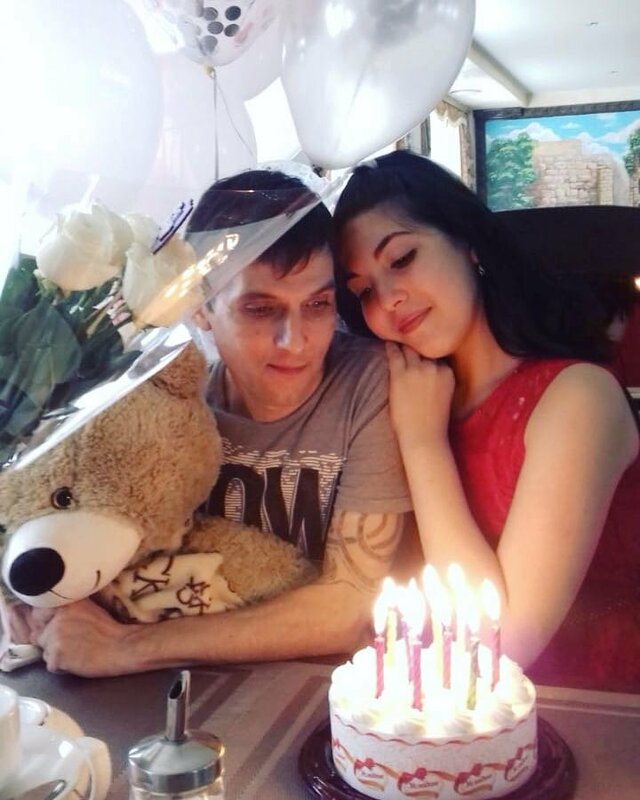 In August Zhenya shared his dream with us, which was to celebrate his daughter Lera’s birthday with her. She is 13 years old and she lives at an orphanage in Cheboksary in the Volga region. Her birthday marks the beginning of the fall season in Russia (September 1st). Cheboksary is Zhenya’s hometown as well, but since he was treated at the Blokhin Cancer Research Center he had to move to Moscow. Before his illness he took care of his daughter all by himself. It’s 700 kilometers away? Not a problem! One of the volunteers has a comfortable car and one of the doctors at the hospice is willing to accompany our patient 24/7 and make sure he has no pain. Problems covering the travel fare? None at all, there are people willing to finance them. Daughter’s birthday? The biggest gift was being able to hug her dad, who gathered all his strength to travel all the way from Moscow to Cheboksary. And naturally a birthday wouldn’t be complete without a teddy bear, flowers and a bracelet that will forever remind Lera of the most important encounter of her life. No need for hesitation. One must simply act on it, as for some of us there may be no tomorrow. Many thanks to all who helped with organizing this trip for Lera and Zhenya. We believe that the smiles on their faces are “for the rest of life”. 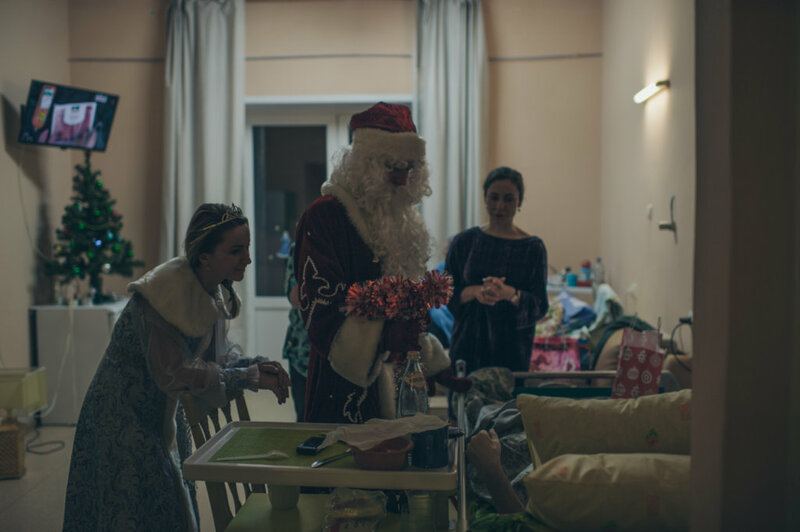 Last week the Degunino hospice in Moscow welcomed a new patient, Liliya Ivanovna. She was an opera singer and is an Honored Artist of Russia. Her son Leonid, an incredible jazz pianist who lives in the US, immediately took a flight home. He was just on time to see his mother, stay with her, talk to her and give her a hug. The following day she passed away. “We were all hoping that we would be able to spend more time with them, but yesterday, while there was a flute and piano concert in the hall, Liliya Ivanovna left us. Her son was still on his way at that moment, and I was worried that the music might be a little inappropriate and that it can make him even sadder. But musicians are very special people. “The girls were playing really well; mom must have loved it. It’s amazing when you think about it: even when leaving this world, musicians are surrounded by music”. Friday, the day before the funeral, Leonid organized a concert for the patients, the nurses and the doctors of the hospice in honor of his mother. “Mom asked me not to play too loudly. I did my best :)”. These heartwarming stories would never have happened without your help. Thank you! *We thank Alexandra Goriounova for her generous help with rendering this text from Russian into English. 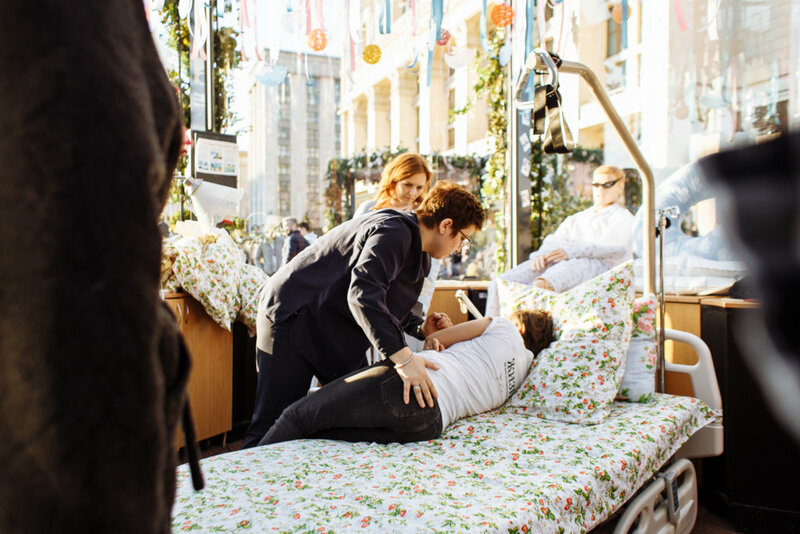 Just imagine: the very center of Moscow, Manezhnaya square, the city festival, and the VERA Fund's pavilion, where visitors get their make-up done and their hair braided, where Nyuta Federmesser uses a full-size dummy to show how to take care of a terminally ill person, where people learn why they should stop fearing hospices. These are not dreams, but reality. We did have our very own pavilion at the city festival “The Easter Gift” where anyone could not only get their make-up done, but also get to know the Fund's volunteers, try to care for a terminally ill patient under the guidance of Nyuta Federmesser, our founder, and sign up for an introductory meeting for our volunteers. We had visitors who asked: what is palliative care? Who are volunteers and how much do they get paid? How many hospices does our company have? Therapy dogs and concerts in a hospice - this must be expensive? It is so cool that we had a chance to answer all these questions. We also had a chance to explain that, at the last stretch of a life's journey, when one cannot be healed, one can still be helped in a professional manner. We could explain that volunteers are highly motivated people, which is why they help the Fund free of charge, in their own free time, and in different ways. We could say that concerts and events which happen in the life of a hospice are free for us and for our patients. 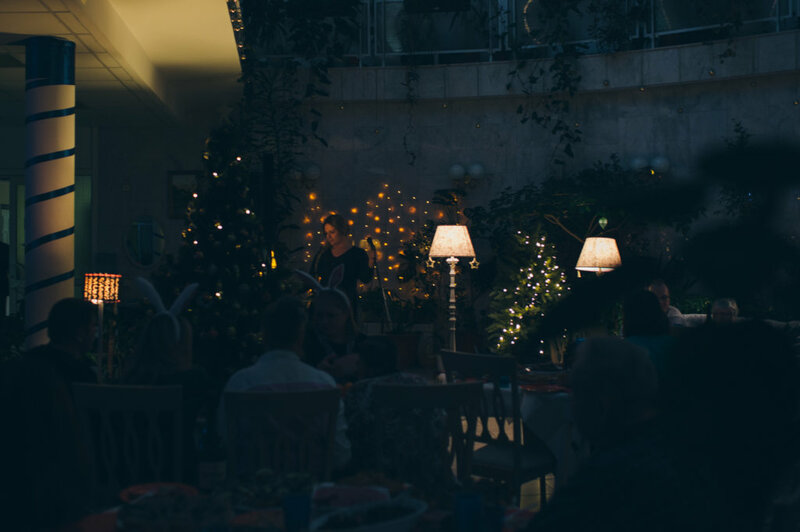 This was an incredible experience for us and a perfect opportunity to tell the public about hospice life, events, and people who turn a hospice into a real home. The spring and the first summer month have been busy for the Moscow hospices: many holidays were celebrated, dozens of concerts and master classes were held, new flowerbeds were made, and, amidst all that, we still had a chance to sit in the shade of the trees and enjoy summer treats and pleasant conversations. Last but not least, the Center for Palliative Care saw a first wedding in its history. Many people dream of saying “I will love you until the day I die”, but very few can actually say that it's true. Anatoly knows that: he is a patient of our hospice. His wife Olga and he share many things: seven children (they had two of them together), eight years of love for each other, a few cats and dogs, and several chemotherapy treatments. This spring they got married in the Moscow Center for Palliative Care where Anatoly is staying. A clerk from the Civil Registry Office came to unite them in marriage, the donors gave them a wedding cake, volunteer musicians helped set the mood for the event, and their friends and children were there to congratulate them and celebrate together. The couple met when Olga (a charity foundation's director) were looking for potential donors, but instead found someone who needed help. When she met Anatoly, he needed a cancer surgery. Later, they faced a long and complex treatment and remission, when two of their children were born. Recently, the disease returned, and Anatoly needed palliative care. “If not for palliative care, we wouldn't have come to a conclusion that we need to keep living, get married, and have a celebration. The thing is: what's the point of grieving? We enjoy every new day that comes and think about other things we'd like to do. We are extremely grateful to the doctors and the whole team for helping us to get back on our feet. They gave us a chance to not think about the difficult part of the disease. 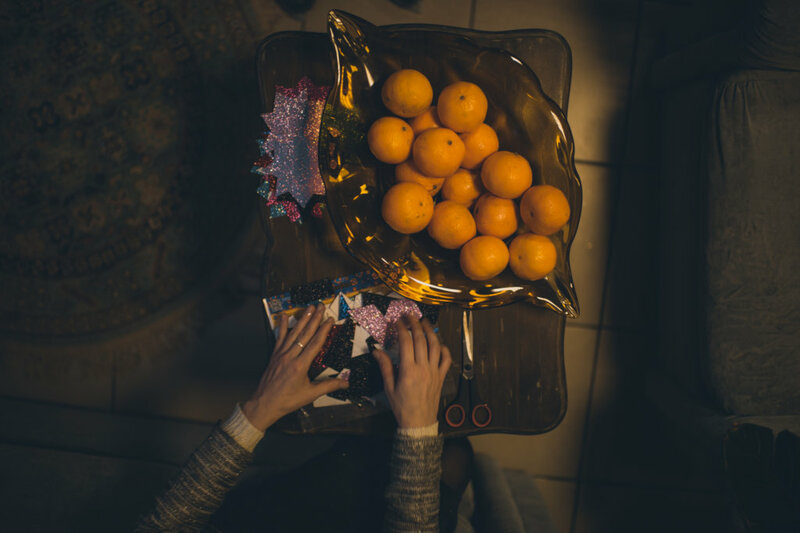 Instead, we can focus on the joy: the joy of having each other, loving each other, and living,” says Olga. One, two, three -- the bride tossed the flowers to the crowd of girls of all ages, among them, patients in wheelchairs, nurses, and volunteers. Of course, later there was champagne, appetizers, dancing, and jazz music. Anatoly cannot stand on his feet anymore, let alone dance with his wife, but his hands kept moving non-stop, following the music. It does no matter how much time one has left: there is still enough time to do all that we can. *We thank Veronika Demichelis for her generous help with rendering this text from Russian into English. How can we make sure that every person gets help they need at the end of their life? We need resources: hospices, palliative care departments, home-based services; we need laws that would protect the interests of the patients; we need doctors and nurses, we need their hands that can ease the pain and ensure that our patients are treated with dignity till the end; we need volunteers and coordinators who can attend to our patients’ needs and provide them with care; we need publications and TV shows about hospice care so that people are not afraid to ask for help when they need it. We strive to make sure that high-quality care at the end of life is available to all. “When at the hospice, I am treated like a human being. I get stabilized so I can continue living for a while longer, enjoy my life and maybe learn something”. A total of 12 regional hospices and palliative care units received support from the fund (in the form of financial aid and resources). Per Tatyana, the Chief Medical Officer for Palliative Care Center in Moscow, physicians providing palliative care need training on a daily basis. And we are talking not only about the constant need for additional knowledge in various medical fields; they also need to know how to provide social support, and at the same time they need special skills to communicate with patients and their families". 2990 physicians and patients’ relatives received free books and educational materials on palliative care. Without you, we cannot move the needle. With you – we can achieve a lot. Thank you! *We thank Julia Linkova for her generous help with rendering this text from Russian into English.